I am going to apply these rules to all of my stinky shoes! ...Not that my shoes ever stink.. Some good tipps... but what about special insoles made from cedarwood (e.g. zederna insoles)? It's considerably less complex than using sprays and cremes every day. You just put these antibacterial insoles in your TOMS and then just wearing them. It works pretty good for me. Ha! So funny you mention that because I saw those while researching for this post but didn't want to include them without knowing more about them. So glad to know they are legit and work. I vaguely remember them being sort of expensive. Are they? i am not happy at all. i spent lot of money for my toms and for toms for my friend. i neved had a same problem with stinky feets. i am very dissapointed with this shoes!!! Hey Chrissy. Yeah, there's something going on with Toms making people's feet smelly because this is THE most popular post on my blog. Hope these tips help! The wrapped soap works. 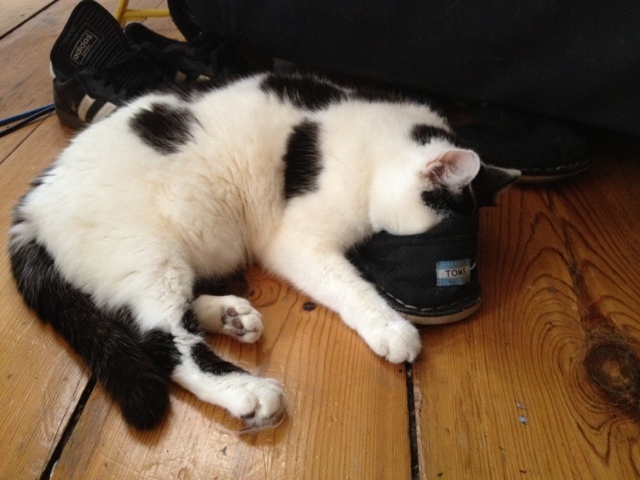 I know of quite a few instances where that helped to remove the odor from shoes. A wrapped bar of soap can help keep closets smelling fresh too. I usually just put one near the bottom of the closet- a soap with a nice, strong smell of course.